If you are looking for an investment plan that guarantees returns, this plan is for you. Aegon Life Guaranteed Growth Insurance Plan ensures you receive what you are promised and at the right time. So you can achieve your goal, regardless of the situation. Mr. Mahesh (age 45 years) has his own business. His wife is a doctor and they have a son Atharva, who is 11 years old. 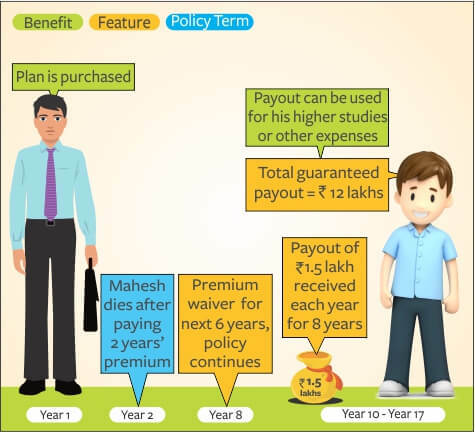 Notwithstanding his good financial position, Mahesh is attuned to the need for a financial instrument that will help him multiply his savings and provide guaranteed annual payouts once his son completes 21 years of age. Hence, he relies on Aegon Life’s Guaranteed Growth Insurance Plan. Premium: Rs. 1, 00, 000(exclusive of service tax). Minimum annualised premium of Rs. 20,000 for age 8-35 years completed. Maximum annualised premium of Rs. 3,00,000 for age 8-35 years completed. 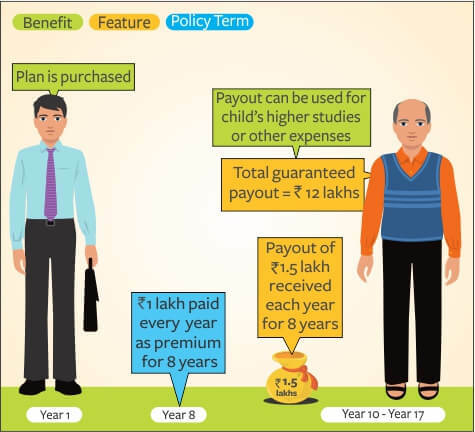 Product Name: Aegon Life Guaranteed Growth Insurance Plan. UIN 138N046V01.